Our 10" Traditional Bear has real leather paws and a super soft fur. A smaller version of our 12" Traditional bear, this bear is sure to warm your soul. With it's soft fur, sweet face he is absolutely huggable! 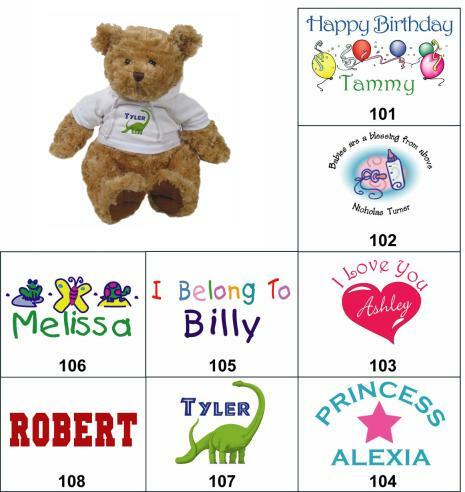 He comes with with your choice of available graphics customized by you and printed on your choice of a white or pink tee shirt or choose a sweatshirt for just $3.50 more. CHECK OUT OUR NEW MOTHER'S DAY GRAPHICS HERE!